Beautifully updated home on 1.3 acres just minutes from Bend or Redmond. Beautiful new kitchen with hickory cabinets, laminate floor, tile counter tops and stainless appliances. A large living room w/fireplace, private office and more. 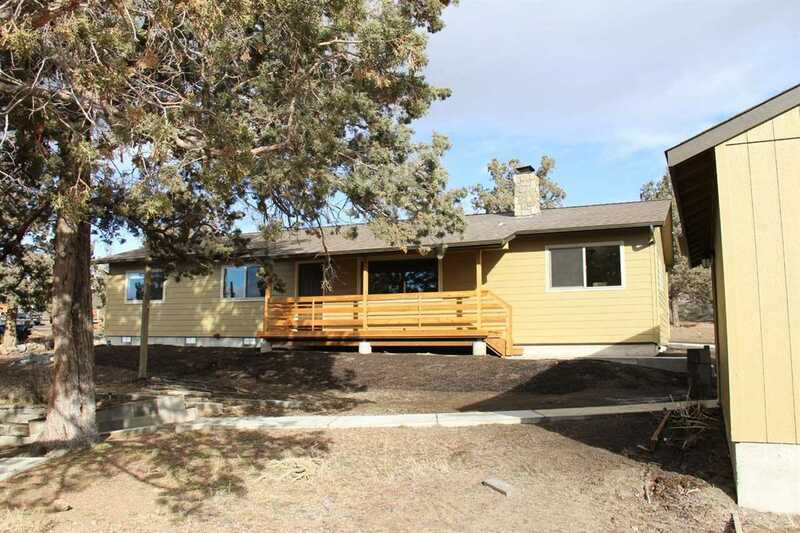 There is a 672 sf garage/shop and 1046 sf 2 bedroom manufactured home with a 374 sf solarium. The kitchen has been removed in the manufactured home so it can be used for many things. Perhaps an office, quilting, guest quarters or a second residence with a medical hardship permit from the county. This is a rare opportunity. RV parking garden space too. Listing provided courtesy of First Oregon Properties LLC. I was searching for a Property and found this listing (MLS #201900430). I would like to schedule a showing for 65308 Kiowa Drive Bend, OR 97703. Thank you! I was searching for a Property and found this listing (MLS #201900430). Please send me more information regarding 65308 Kiowa Drive Bend, OR 97703. Thank you!